Dr. Maria Montessori, the creator of what is called “The Montessori Method of Education,” based her new educational philosophy on her scientific observations of young children’s behavior. As the first woman physician to graduate from the University of Rome, Montessori became involved with education as a doctor treating children labeled retarded. In 1907, she was invited to open a day care for the children of desperately poor families in a San Lorenzo housing project of Rome. She called the project “A Children’s House,” and based the program on her observations that young children learn best in a nurturing setting, filled with developmentally appropriate materials that provide experiences contributing to the growth of self-motivated, independent learners. 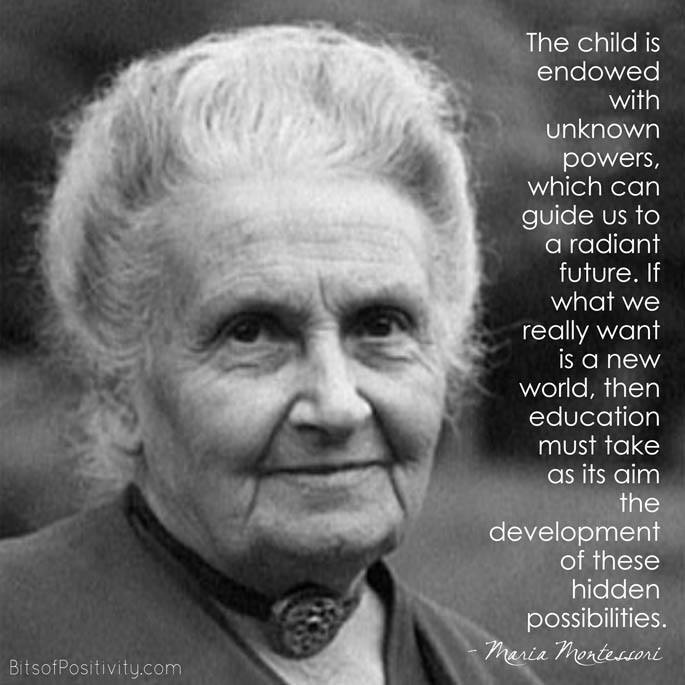 There are several “revolutionary” premises which Maria Montessori evolved from her observations of children. The most important years for learning are from birth to age six. Each child is different and progresses at a different speed and with a different style, but all children are self-propelled or self-motivated to learn and grow. (All children learn to walk, talk, and to use a toilet. No one can force them before they are ready or stop them once they are determined. Adults should respect each child’s interests and talents and offer the “next step” in their learning cycle, without pressure. Children possess unusual sensitivity and mental powers for learning. They are incredibly “absorbent.” Given a rich, diversified environment they will learn. Children learn from doing. “What the hand does, the brain remembers.” Process not product is important to a child. Most of the day our students spend “doing work,” using the classroom activities available to them. The activities are broken down into small, easily digestible pieces to insure success. Success leads to self-confidence (self-esteem.) Once you are sure of yourself, you can do anything! You cannot teach (or memorize) every answer. You can, however, help children learn problem solving strategies, teach them to make good choices and train them to manage their time well. All children need to love themselves, respect others and respect their environment (now more than ever!) 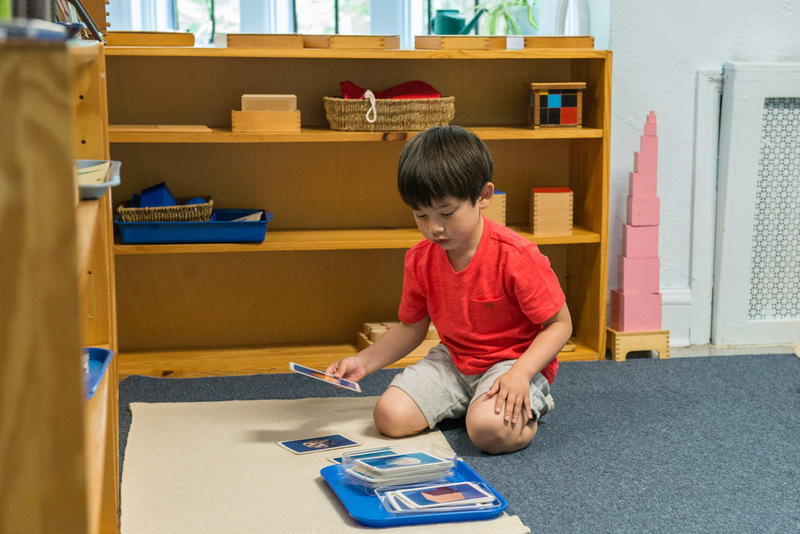 The Montessori method gently leads children to these goals which are gradually achieved as each child develops impulse control, self-discipline, and self-confidence. How is your school the same as other nurseries and day-care centers? How is your school different from other nurseries and day-care centers? 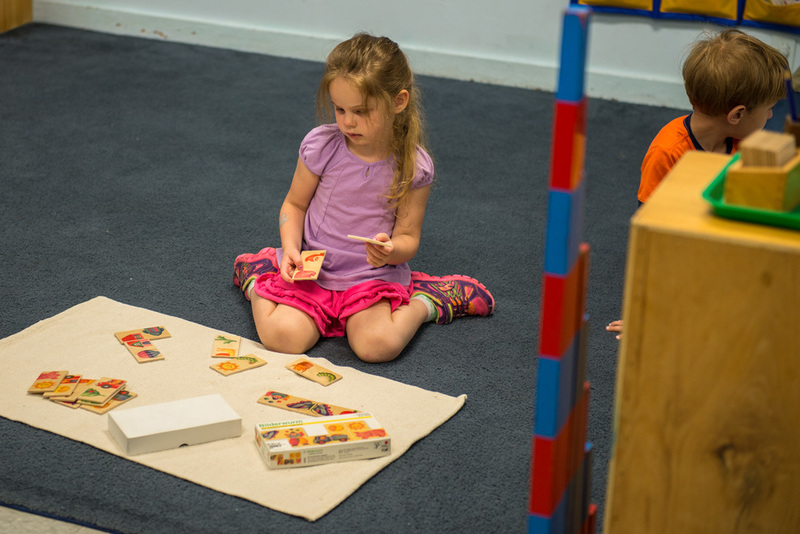 Each class at Bronxville Montessori has a three-year age span. (One and a half in our toddler program.) This arrangement provides a family-like grouping where learning occurs naturally. Children learn from each other and from the materials in the classroom. The teacher is a guide, or a “resource,” not the primary source of information as in a traditional classroom. When you watch our classes you will see the children working alone, in small spontaneous groups or in teacher-assisted groups. Children are drawn to others functioning at the same ability levels, not necessarily the same age levels. So, a three year old often observes a five year old at a difficult task (i.e. tracing, shoe tying, adding) and says, “When I am big like Suzie, I will be able to tie my shoes, too.” She recognizes the difference in age and looks forward to the next step in her own development. What are the school’s goals for each student? Briefly stated, we want each child to be as independent, happy, curious, competent, and confident as possible. We want each student to leave us with a life-long love of learning. 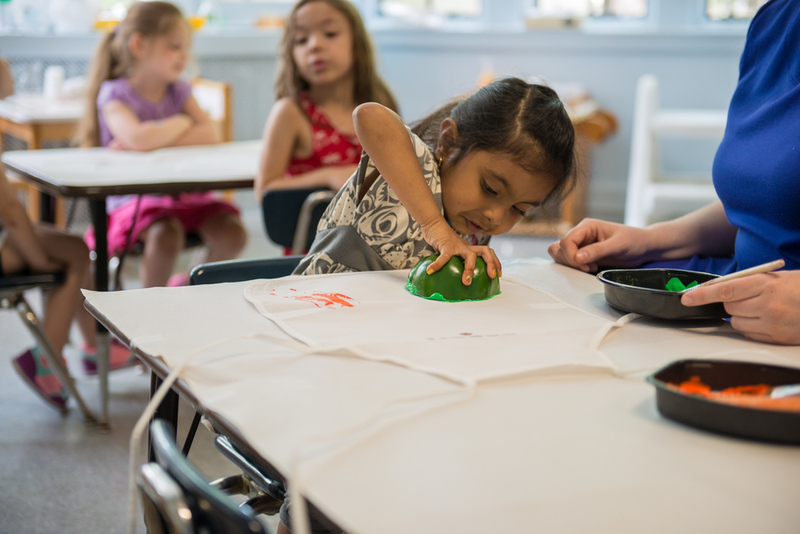 What is a typical day like at Bronxville Montessori School? Each student is greeted individually and usually begins the day with a short classroom circle. During this circle they may do “show and tell,” hear the daily schedule, discuss a current topic and/or see a new activity to be placed in the classroom. Each child is released from the circle to choose work during our “great work” period. During the “great work” period, children are free to select activities from the shelves. After the work period, a bell is rung for clean-up and the children go either to the gymnasium or outside for large muscle play. The day is typically ended with a music/finger play/reading circle. The children then “coat-up,” collect their belongings, and line up for dismissal. Schedules vary slightly from class to class to allow gym use without congestion. How many days should my child attend? This is an individual decision based on your schedule, a child’s personality and experience, and your budget. Most homes operate on a five day work week, so this is the natural rhythm for your child. (5 days on, 2 off) Once you have decided to enroll in a program, our five day program will generally benefit your child the most. Yes. Childcare scholarships are available through the Childcare Council of Westchester, (914) 761-3456 (select 0 on the phone menu.) More information can be found on their website www.childcarewestchester.org under the "parents" tab.